Petty Fever performs in east Vancouver this summer, with the Columbia Tech Center Sunday Sounds, Presented by Gaynor's Automotive. 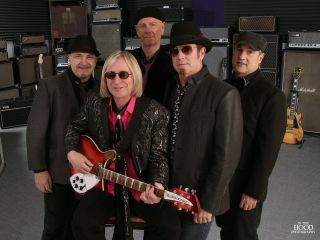 Take your family and friends and a picnic to enjoy the music of the award winning Petty Fever, a Tom Petty tribute band. Band leader Frank Murray won the 2016 Hollywood FAME Award. He and Petty Fever will lead you into a stunning tribute to Tom Petty & The Heartbreakers.